Raul Villar was born on October 25, 1966 and is currently 45 years old. He is a farmer who lives at Cakha, Talalak, Sta. Catalina, Negros Oriental with his wife and their five children, namely, Jemsil (15 years old), Jessil (14 years old), Rowel (12 years old), Marry joy (10 years old) and Jerald (9 years old).Raul is a member of KMP (Kilusang Magbubukid ng Pilipinas)where he helped in organizing his fellow farmers. 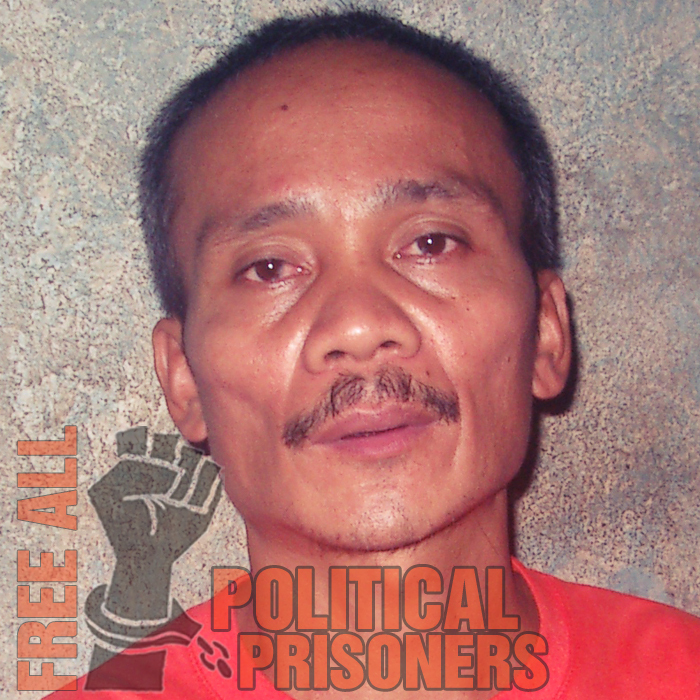 He was arrested on the allegation he is a member of the New People’s Army by a section of the 61st IBPA under 2nd Lt. Danilo Baranda around 8am on January 8, 2007 in Sitio Cabangkalan, Brgy. Tayac, Siaton, Negros Occidental. Following his arrest, he was then turned over and detained at the Provincial Police Office (PPO), which was at that time headed by Dir. Omar Buenafe. Raul was slapped with trumped-up chargcs of Rebellion, and Criminal cases of Robbery, Illegal Possession of Firearms and Multiple Homicide. 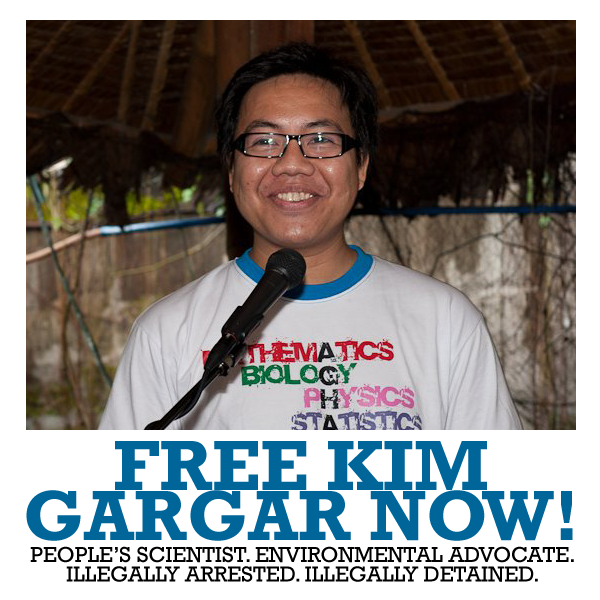 His cases were tried at RTC Branches 38 and 42 of Dumaguete City. Raul is now incarcerated at the NBP-Maximum Compound and is suffering from Ulcer and frequent migraines. He has been very sick lately and complains of kidney problems.Has high fever and has difficulty urinating. Has not been given medical attention.